Onondaga Audubon’s Derby Hill, located on the southeastern corner of Lake Ontario in Oswego County, NY, is one of the premier hawk watches in the Northeastern United States. Hawk counts at the site were started in the early 1970’s and since 1979 have been conducted every year in a standardized way. On average 40,000 raptors are counted each spring as they migrate northwards, making this site one of the best spring sites in the country. Hawks, eagles and vultures are the main attraction at Derby Hill, but impressive numbers of Snow Geese, Red-winged Blackbirds, Common Grackles, Blue Jays and Baltimore Orioles can also be seen migrating here. After a warm night with south winds in early May, the hedges on the hill can be packed with warblers, orioles, tanagers and thrashers, as these birds pile up on the south shore of Lake Ontario. The first raptor counts at Derby Hill were carried out in the early 1960’s. Since 1979, the count has been taken each spring according to a standard protocol. 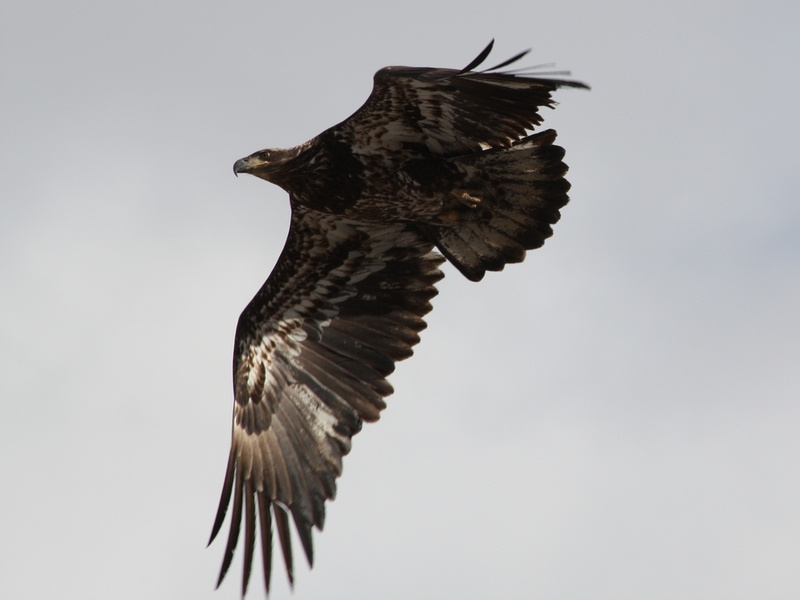 Derby Hill’s data have been entered into a database maintained by the Hawk Migration Association of North America (HMANA). As part of a network of hawk watches in Eastern North America, the hawk count at Derby Hill contributes to collecting valuable data on migrating raptors, that can be used as an important conservation tool.